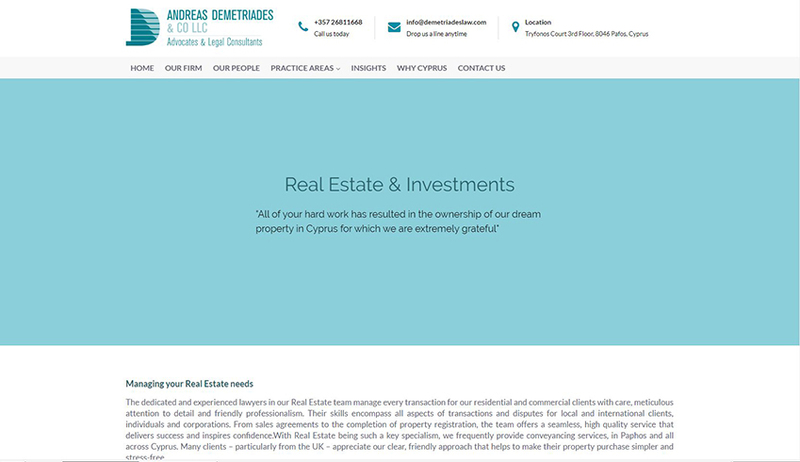 Andreas Demetriades & Co is a leading law firm based in Pafos, established in 1970 by Andreas Demetriades. The firm’s core values revolve around enduring relationships, uncompromised professional excellence and friendly, individual support. 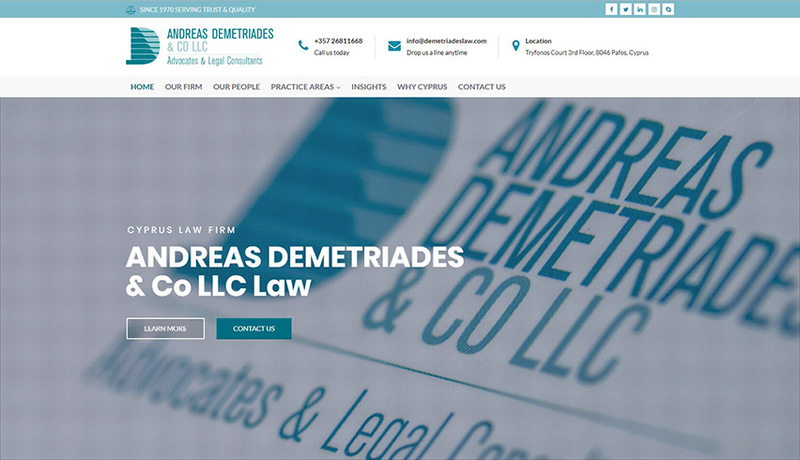 We were asked to upgrade their existing website, which was built by our team and awarded as one of the 10 best legal websites by Legal News. 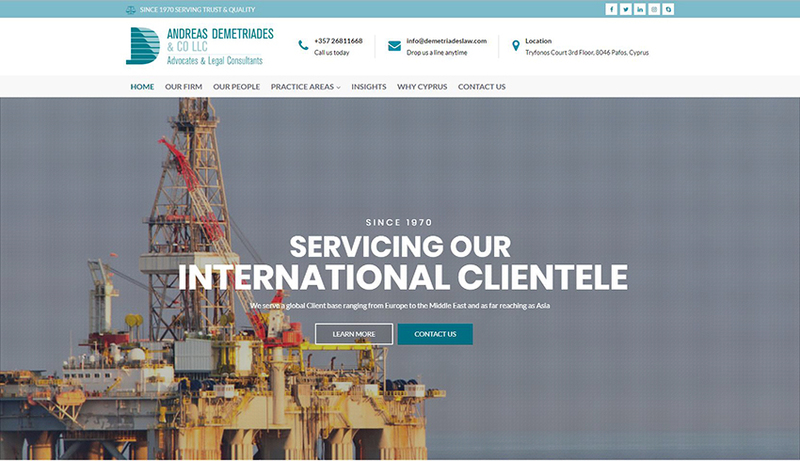 To take an award-winning website to the next level we had to outdo ourselves! 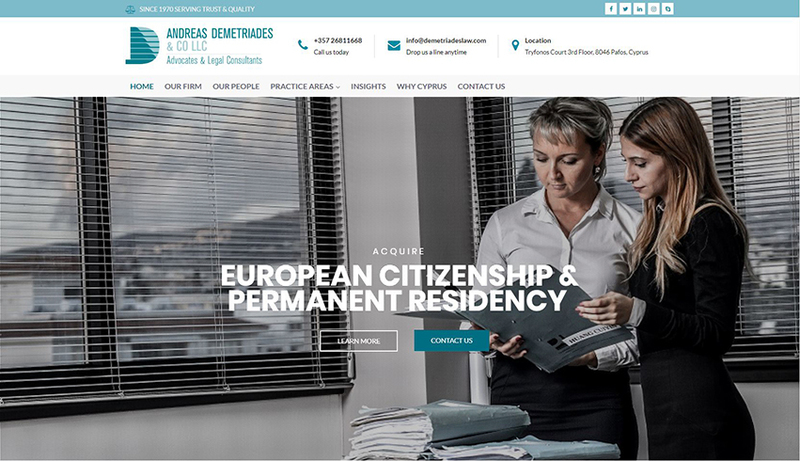 The improved website should advocate the prestige and experience of the law firm and its people, and rank among the best websites in the field, with an international reach and appeal. 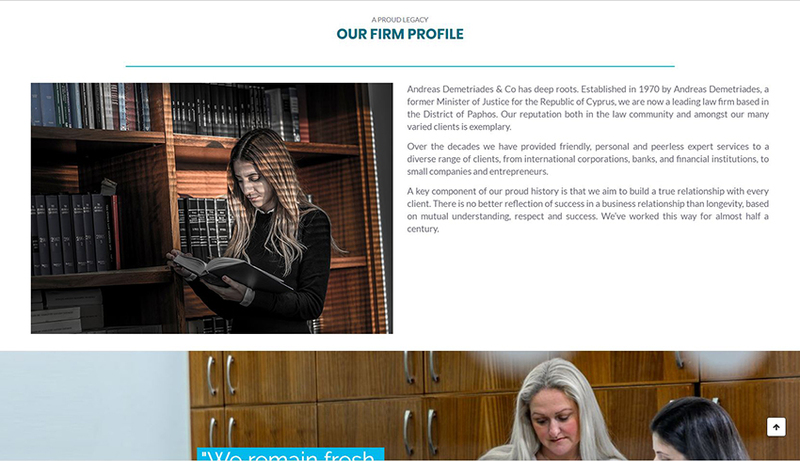 Our team, in order to present the best possible result, carried out an extensive and in-depth research in law firm websites both at a national and international level. After collecting ideas and features that we would consequently adapt and incorporate into our case, we proceeded to a professional photo shoot of the firm’s premises and staff. 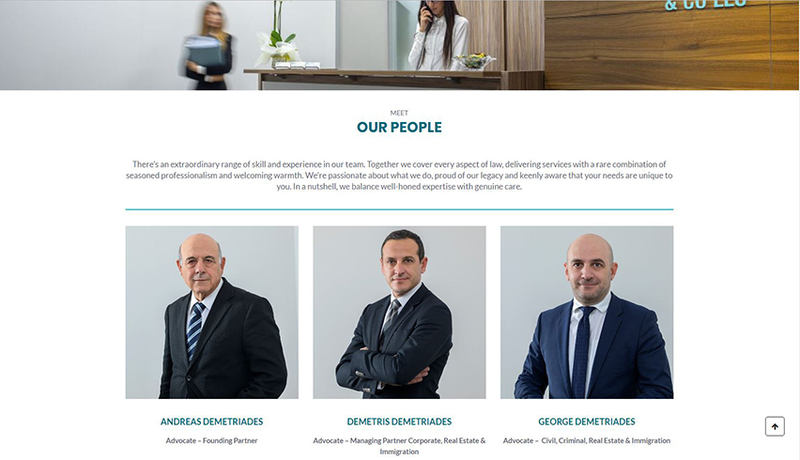 Finally, a dedicated professional content writer, with a background on legal matters, was selected to create content for the website, while our experienced designers chose the appropriate web design to meet our client’s style and reputation. 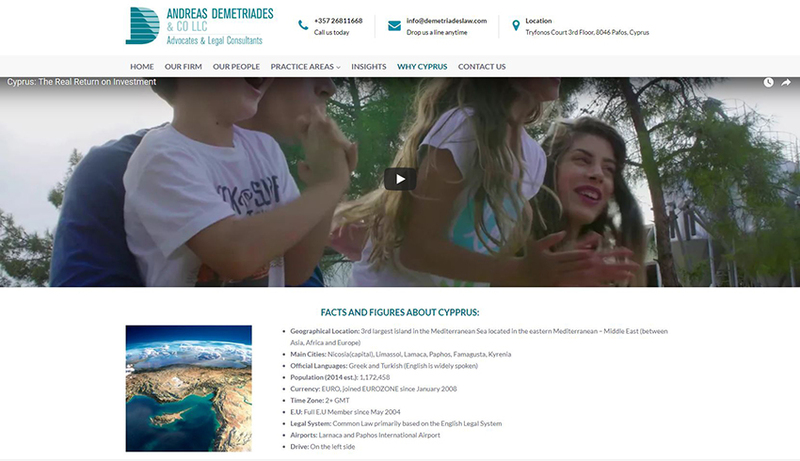 As a result, we developed a modern website for an international audience, of improved performance and security. 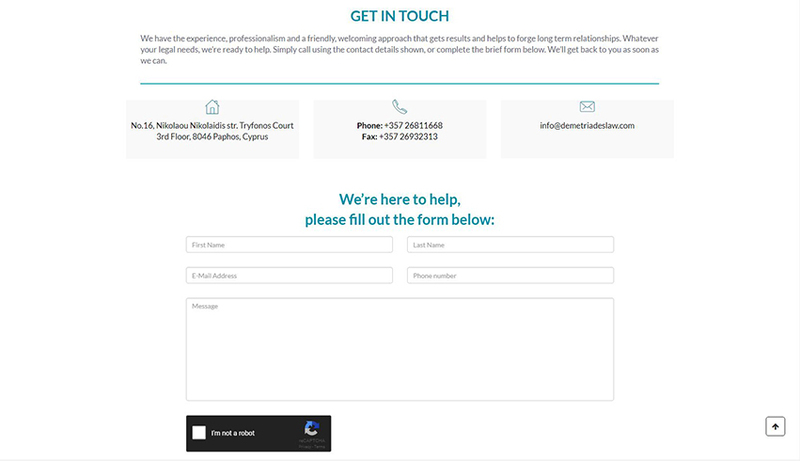 The effective content writing undertaken for this project, critical in turning site visitors into clients, helps generate more business in terms of high value clientele and international companies.